1938 - Flat not folded jumbo window card 21x 27 (slight trim)part of upper left corner missing mostly border all things considered condition is good. Very rare! 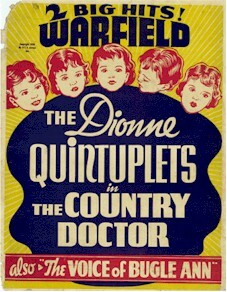 1938 this is a very RARE widow card of the famous Dionne Quints starring in this motion picture.